Workshop on Stress & the Fight or Flight Response, Healing Benefits of Cinnamon, Fatty Coffee, Phat Fudge and More! Open Tuesday & Wednesday, 9am-7pm. Wishing you a wonderful season of gratitude & abundance! Cost of this two-hour workshop will be $20/person. Please call or E-mail by November 5th to save your spot. Katie Oleksak M.Ac. Lic. Ac. 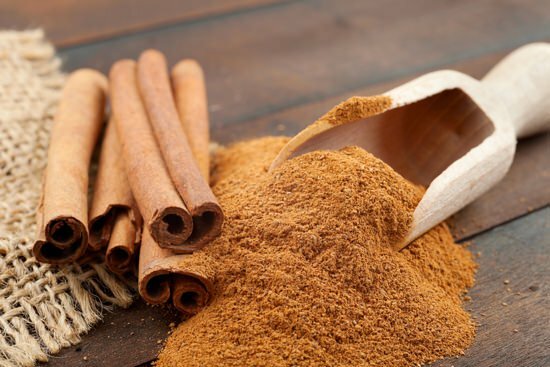 Cinnamon is not only one of my favorite flavors and spices to cook with, it reminds me of fall--my favorite time of year--and has a number of health benefits. Most likely you already have it in your kitchen cabinet. 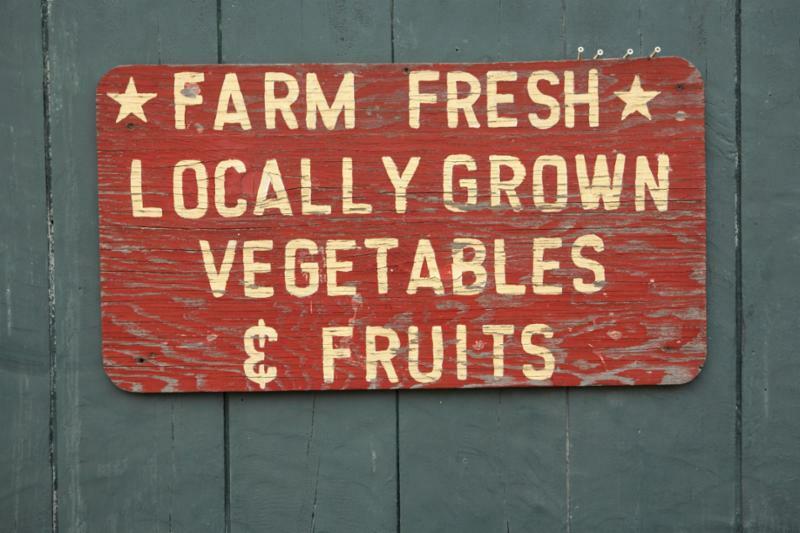 I would recommend buying organic, and as fresh as possible for the most benefits. It is derived from the Cinnamomum Tree. The inner bark is extracted, the woody parts removed, and what is left is what we know as curled strips of cinnamon sticks, which may then be grated into powder form. This warming, spicy herb is extremely versatile. *Anti-Oxidant Power: it protects the body from free radical damage, keeping us strong and healthy, warding off disease. This quality is so powerful that cinnamon can actually be used as a food preservative. *Anti-Inflammatory Power: it is known to help the body ward off infections and repair tissue damage associated with acute and chronic inflammation. *Improve Sensitivity to Insulin: many people are resistant to the effects of insulin, which can lead to Type 2 Diabetes. Cinnamon actually helps reduce this resistance, so that insulin can do its job, to lower blood sugar (see below). *Lowers Blood Sugar: a powerful anti-diabetic, cinnamon is known to decrease blood glucose, slowing the breakdown of carbohydrates. *Lowers Risk of Heart Disease: known to reduce "bad" cholesterol, cinnamon is also shown to reduce blood pressure and lower the risk of heart disease. I add cinnamon to everything: coffee, hot chocolate, pancake mix and baked goods. You name it! Feel free to get creative. For therapeutic purposes, it is best to use supplement form (liquid tincture or capsules). This time of year at NCA we treat a lot of patients for immunity, colds, flu prevention and allergies. This manifests in a wide range of symptoms, including stuffy nose, fatigue, phlegm, post nasal drip, itchy eyes and body aches. You will very likely see us using the following acupuncture point for all things immunity. Lung 7 is located just above the wrist crease, on the thumb (or radial) side of the wrist. We use it more often this time of year as an effective remedy to help to clear symptoms of colds, flu and allergies as well as keep the immune system strong, throughout the fall and winter. It is often used in combination with other acupuncture points for particular immune conditions, gynecological problems, headaches and hand/thumb pain. 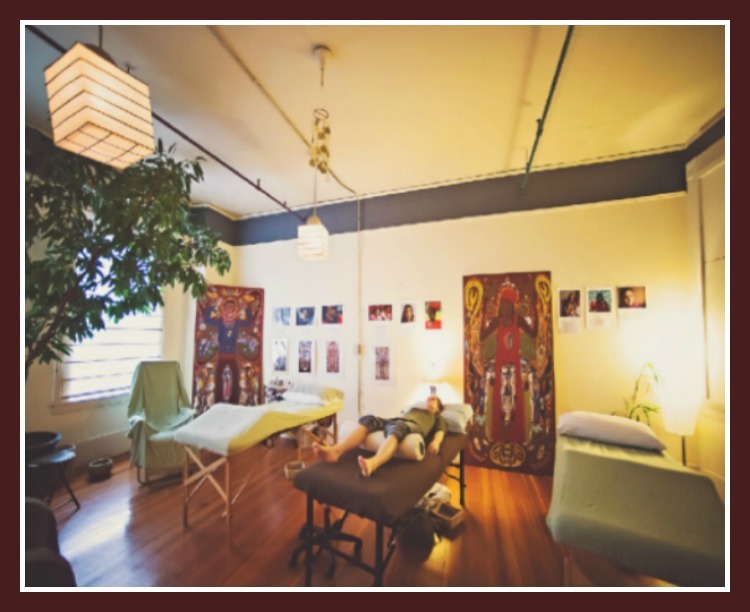 As always, feel free to try some acupressure on this spot to help keep your immunity strong or get you through the uncomfortable symptoms of your next cold and flu this fall and winter. get ready for the start of the Northampton Winter Market! Smith Vocational School-80 Locust St. Northampton. olive oil, vinegar and more! Why would you want to add fat to your coffee?? For one thing, it's delicious, when blended correctly. For another, it actually has nutritional benefits, as well as being satiating. I have been following the recent trend of a higher fat diet among health experts, doctors, nutrition coaches and consultants for some time now, and it's becoming increasingly clear that what we thought was true in the 1980s and 90s, is actually the opposite: Fat does not make you fat. Sugar does. This is part of the philosophy behind why low-carb, higher fat diets work for many, and why most low fat diets do not work, in the long run. Of course, we are all unique and no one diet works for everyone, as all of us know who have tried different diets over the years. That is a much larger discussion than what can be addressed here. For now, we'll stick with the coffee. And of course, this can be beneficial only if coffee itself works okay for you and doesn't disrupt your sleep or cause other problems for your health. In terms of the satiating effects, I will have this first thing in the morning, after 24-32 ounces of water, and then I may not have breakfast for 2-3 hours, depending on my morning. And occasionally I will skip breakfast altogether, as a form of intermittent fasting. There is some controversy over whether this is beneficial for women to practice, due to the hormonal changes that can occur, so I am still experimenting with this, and may write more in a future post. 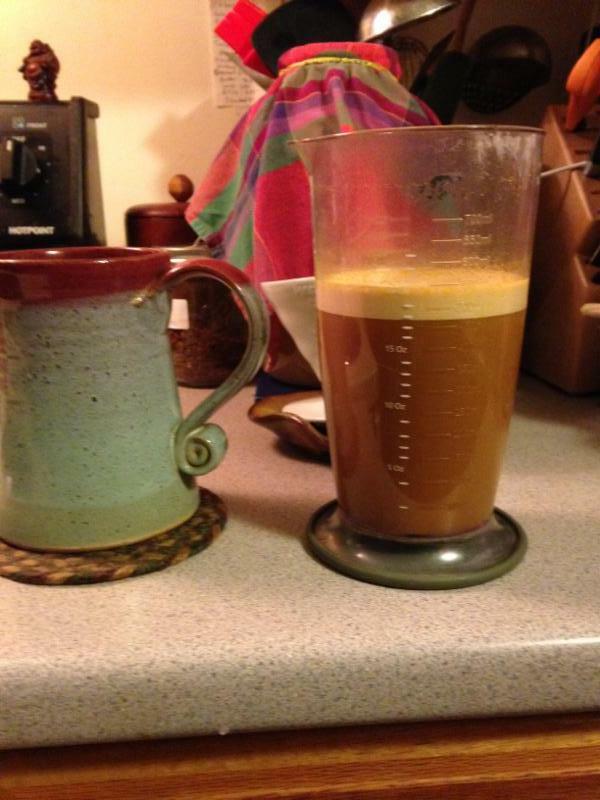 Regardless, adding a little fat to your coffee instead of sugar can be very satisfying and delicious! What kind of fat do you use? 1 capsule of Onnit Shroom Tech Immune Boost - I add one of these when I need it, adds a nice flavor of turmeric too, not too strong. 1-2 scoops of collagen protein - I will add this on days when I'm exercising more, or needing the added digestive support. 1 piece of phat fudge (recipe in this newsletter - I add this when I want a little treat, and it has barely any sweetener). Blend all ingredients together. I use an immersion blender, about 10-15 seconds. Just stirring with a spoon won't work well, and you will have oily coffee, not good. You could also use a regular blender. For a nice caffeine-free version, try blending some fats into your favorite herbal chai blend, or Reishi brand's Turmeric Ginger tea. Yum! We do like some healthy treats around here! This is a recipe I discovered as I made some dietary changes earlier this year, and started adding more fat to my diet while decreasing processed foods (which tend to be the carb-heavy ones, flour-based and/or with refined sugars). It's delicious! I make a batch of these and stick them in the freezer, and I'll grab one or two pieces when I am wanting a little something sweet, and find them very satisfying, filling and they just feel good to eat. Sometimes I even put a piece in my morning coffee - extra phatty! In a saucepan, melt the butter and whisk in tahini, followed by honey, until mixed. Add the rest of the ingredients and whisk together until blended. Pour into the silicon trays carefully. A measuring cup with spout is helpful. Place in freezer, inside a plastic bag, for a couple hours. Enjoy! I tried Phat Fudge this summer per Rachel's recommendation. I had been off sugar for several months and was starting to integrate alternatives into my diet. She mentioned the recipe; it is amazing! I absolutely love every single ingredient--especially maca. 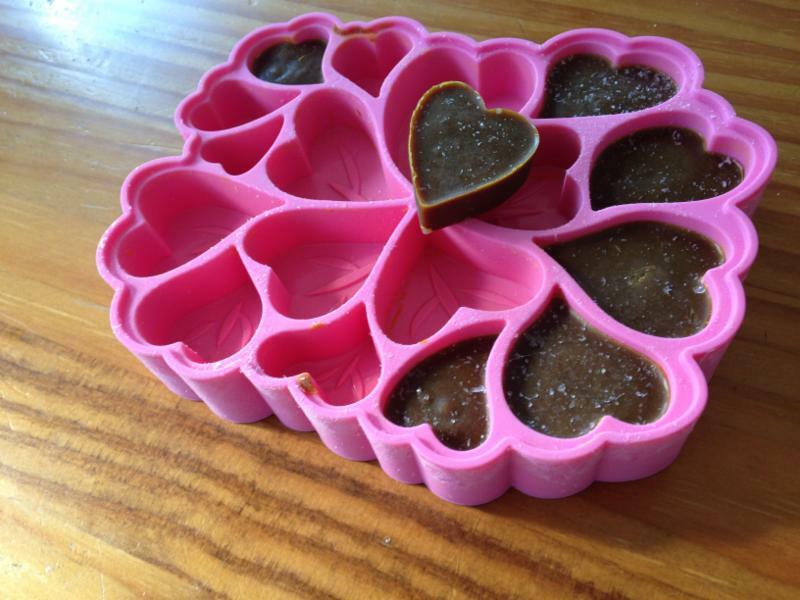 I made the fudge in ice cube trays and kept a container in the freezer. It was perfect just to take the edge off before a work out, or to have something sweet after dinner. Excellent choice for our newsletter this month.